Miguel Ángel Asturias (1889-1974), the first Spanish-American prose writer to be awarded the Nobel Prize for Literature, is both a pivotal and a representative figure in the development of the twentieth-century Spanish American novel. Asturias’s literary apprenticeship in the Paris of the 1920s and 1930s is arguably the most crucial and least understood period of his career. In forging his definitions of Guatemalan cultural identity and Spanish American modernity from a French vantage point, Asturias made literary innovations and generated cultural paradoxes which have proved central to subsequent generations of writers. This study of Asturias’s early academic writings, journalism and short fiction, and of his first major novel, El señor presidente, provides a pre-history of the contemporary Spanish American novel. 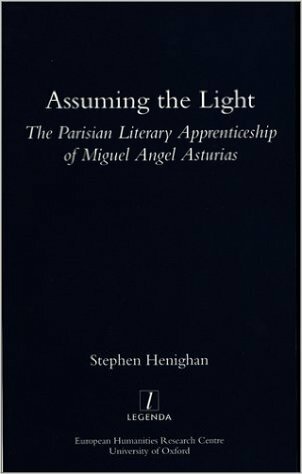 Stephen Henighan’s book is a welcome addition to the still limited list of monographs in English on the work of Miguel Ángel Asturias. 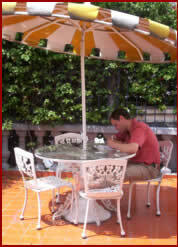 Lucid, sophisticated, beautifully written, it provides a valuable and thought-provoking introduction to the writer’s extraordinary sojourn in Paris between 1924 and 1933, when Asturias made a contribution to Latin American narrative and the so-called “continental quest for identity” unsurpassed in its intensity and creativity. A very readable study of the impact that his stay in Paris had on the development of Asturias’s conceptions of writing and cultural identity… The author is strict with evidence and his argument is firm and convincing. Henighan’s critical method is very rewarding in its new readings, and reveals a genuine tussle in Asturias’s self-creation. This careful study, which augments the significant recent bibliography on Parisian influence in Spanish-American literature, provides valuable, problematic insights. This combination of close textual analysis of Asturias’s own work, both fictional and journalistic, with that of other discourses, including the work of his contemporaries as well as that of his critics, is, in my view, one of the many strengths of Assuming the Light. Frequently provocative and meticulously researched, this book will be of interest therefore not only to Asturias scholars but also more generally to scholars engaged in Latin American cultural studies, particularly those interested in questions of cultural identity.